As we were recently in Paris to visit my brother and his family and to grant my mother-in -law`s advance birthday wish – to see the Louvre, so I decided to write something or related to the City of Light. I already shared some of our photos in my last post and have been there twice, I plan to write a separate article on things to see and do and practical tips for those who would be visiting Paris for the first time. But for now, let us have some sweet talk or at least talk about sweets. When we were the first time in Paris in July 2012 was when I first saw them in real- these cute, colorful, dainty-looking, cream-filled sandwich cookies, called French Macarons. They look so lovely you just have to try them. You will find them in most pâtisseries, café or even on small stalls and last time we were there we also found them sold by street vendors. The most popular pâtisseries for french macaron are the Ladurée and Pierre Hermé. Along the Avenue des Champs Elysées, you will see people lining up in a long queue inside and sometimes also outside Ladurée to buy boxes of French Macarons to try and to take home. Unfortunately, these small sweet creations do not come cheap, as most things in Paris for that matter. Here in Germany, they are almost nonexistent although we found some in a bakery when we were in Berlin and sometimes they would offer the packed ones in the grocery stores. The first time we came back from Paris, these cute little things got me so charmed that I just have to learn how to make them myself, I tried different recipes and had a couple of unsuccessful tries in the beginning and when I finally got them to look like the French Macarons I knew, I wanted to change the recipe to make not-so-sweet french macarons so I have to start all over again. 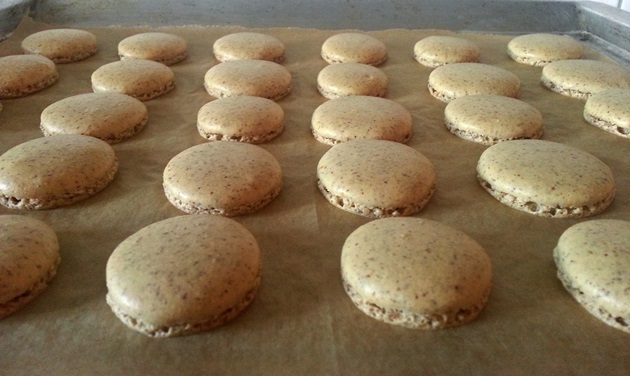 After so many attempts, I finally came up with this recipe that enabled me to achieve this ambitious goal and below are also some pointers to note for those who would like to make french macarons for the first time. For beginners, I would suggest making their first batch as plain ones- meaning no colors first. Adding color needs a little experience, trust me on this one! When I made my first batch without color they turned out really good, with ‘feet’ and all, but when I attempted adding some color using the same recipe for the second batch, let’s just say they didn’t turn out so great. But later on, I finally got the trick. These french macarons are done using unblanched almonds and without color. You can try different fillings, like swiss meringue buttercream, jams and so on but our personal favorite is chocolate ganache! This French Macaron recipe is less sweet than the usual and easier to make. 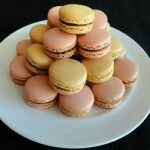 With tips for those who would like to try making french macarons for the first time. Sift almond flour and powder sugar twice and set aside. Place egg white in a large bowl, add cream of tartar and salt. With a mixer, beat eggwhite for 2 minutes at low speed. Beat for another 2 minutes but this time gradually adding sugar. Turn mixer on high and beat until stiff peaks form (like a shaving cream), that takes about 3-4 minutes. If adding food color, you may add it at this point, then beat the mixture again on high speed for another minute. Divide the dry ingredients into two parts. Add the first half to the meringue and using a spatula, fold it 5-7 times just until incorporated. Add the last half and fold again this time until you reach a lava-like consistency. Transfer the batter to a piping bag fitted with half-inch tip. Pipe into a baking sheet pan with parchment paper or silicone mat. They should look shiny but not runny at this point. Tap the sheet pan three times each side on the counter to get the air bubbles out, pop the ones that did not break out with a toothpick. Let it rest for 30 minutes to 1 hour depending on humidity, you will notice tops form a dull layer and are no longer tacky after resting. Preheat oven to 150°C or 300°F. Bake for 16-18 minutes. Feet form in the first 5-8 minutes. You know they are done when the shells are hard and do not break away when you pull one from the mat slowly. Once done, let them cool for 5-10 minutes before removing from parchment paper. Then let them cool completely before adding filling. Nutrition Label applies only to the cookies, filling is not included. MEASUREMENT: It is best to weigh your ingredients than using measuring cups. The proportion of powder sugar to the almond flour is very important. I wanted french macarons that are less sweeter so as I tried decreasing the amount of the powder sugar, but the result of using too less powder sugar is that they would not have the hard shells and without that means no ‘feet’ too. SIFTING: Sift your almond flour and powder sugar. This is also important to get smooth, lump-free macarons. What I do is I sift the almond flour and then the powder sugar when combining them and sift the mixture again to fully incorporate the two together. FOLDING & CONSISTENCY: When folding, do it slowly but forcefully scraping the sides from the left to right while pressing the batter to the sides of the bowl towards you then turning it at the middle. This will get rid of some of the air bubbles that formed in the meringue. Too much folding will make it runny and that cannot be fixed anymore, so it is better to check the consistency every after some folds and it is always better to underfold, as the batter continue to thin when you transfer it to the piping bag and also while piping. To check, scoop some batter with the spatula and let it fall back to the bowl, when it forms ‘ribbons’ or layers as it slowly falls back on top of the batter instead of instantly combining with the rest of the batter and the first ribbon is still slightly visible after about 25-30 seconds, then you should stop folding at this point. ADDING COLOR: I tried both powder and gel food color and I have to say that the powder is best to use as it does not change the consistency as much as the gel food color would. Adding food color should be done in small amounts, for this recipe I usually just use a toothpick or tip of a teaspoon and that would be enough for pastel colored macarons as the color fades a bit as the macarons bake. 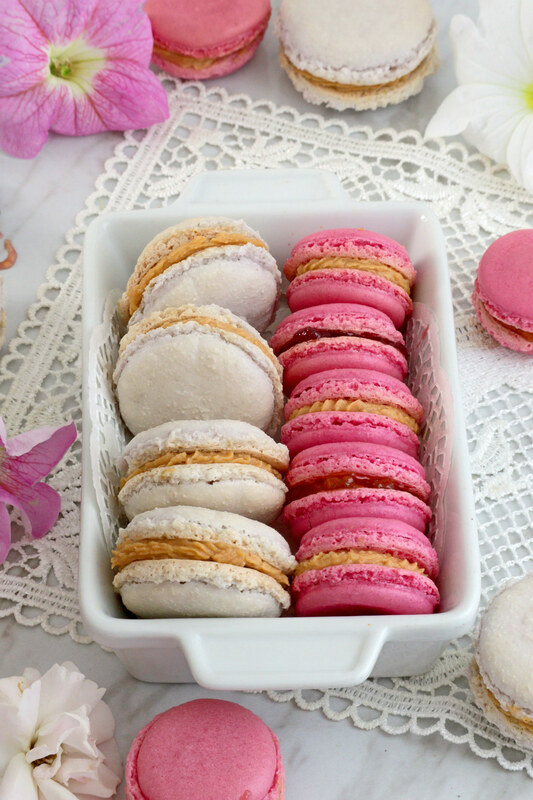 But as I tried adding more color for more vibrant macarons, I find that they took longer to form shells during the resting period or sometimes not at all, so I would suggest adding more powder sugar like 20 grams more to get those hard shells to form. PIPING: Piping macarons needs a bit of practice. What I do is I use a self-made macaron template to make sure I have even-sized macarons. The size of the circle depends on how small or big you want them to be but note that they will flatten and expand a bit when you start tapping them on the counter. Place the template below the parchment paper you will use. Place both on top of the baking sheet. Position the piping bag at 90° then just squeeze until the circle is filled with batter. Once done, carefully slip the template away and pipe some batter at the corners of the baking sheet to glue in the parchment paper so it will not move while tapping. RESTING PERIOD: Follow the required resting period. Other people would say this is not important but as this recipe uses lesser sugar, this is another thing that should be followed strictly if you want them to form nice shells. Resting period is usually 30 minutes to 1 hour depending on how humid it is. To know if the macarons are rested enough, lightly touch the sides and if it no longer sticks to your finger then it is time to bake them. You will also notice a dull film forming on top. Avoid over or under resting your macarons as this will result to either macarons with no feet or with cracks on top. BAKING: Under-baking macarons will make them break or separate when you try to lift it from the parchment paper and may be hollow inside. Over-baking will result in dry and crunchy macarons but is better than under-baking as this will be fixed later anyway when filling is added and as they mature. MATURATION: Letting your macarons mature before serving or eating them can fix a lot of small problems, small hollows disappear or dry and crispy turn into soft, fluffy and chewy macarons and they taste a lot better in my opinion. All you have to do is be patient. Seal filled and assembled macarons in an airtight container and leave it for at least 24 hours in the fridge. Take them out to come back to room temperature before eating or serving. Looking at your nutrition label, it looks like it does not represent the cookie with the filling and if using the servings in the recipe (14), the calories do not add up. When calculating the calories, how many servings are your including? No, it does not include the filling because I did not specify a specific filling on my recipe so whatever filling that will be used will add up to the calories. I indicated 14 in the servings as this recipe makes about 12-16 cookies (or about 24-30 shells) depending on how big or small you make them. The calories are then calculated per cookie. 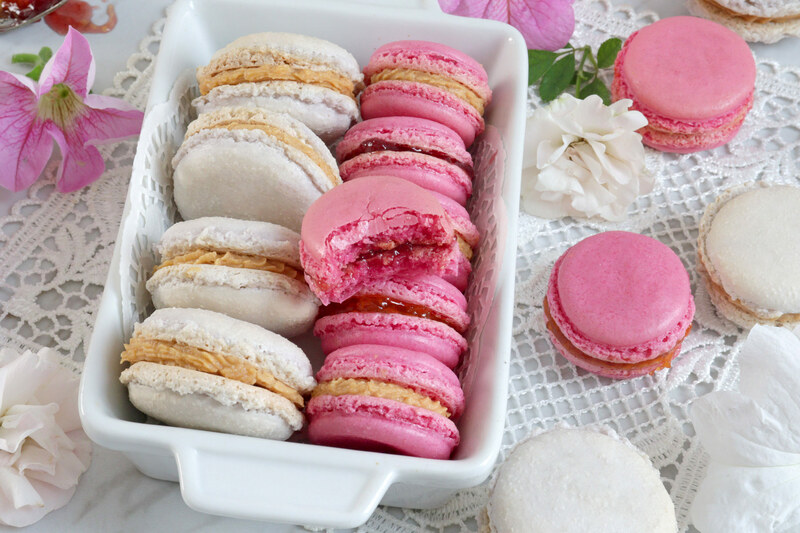 Hi Bebs – I want to thank you very much for sharing your reduced sugar French macarons recipe here and the tips. The recipe is easy to follow; I tried the first time and was successful. See the pictures I posted on IG. Also like the fact that this recipe has less sugar but still turns out great and tastes good. I don’t dread using the French meringue method anymore! Wow Clair, those pumpkin spice French Macarons look amazing! Best recipe by far! 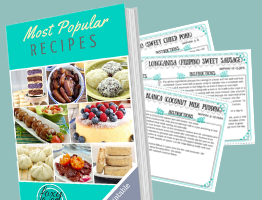 I’ve tried a dozen different recipes and failed more times than I can count. I tried your recipe 2 tines and both turned out perfect. Thank you! My only question is, is it possible to eliminate the granulated sugar all together or cut it down in half? I still find it too sweet. Thanks for the nice comment. As for your question, I have tried to reduce the sugar as much as I can, like you I am not a big fan of overly sweet things, but this is the farthest I was able to get. French macarons are rather really sweet I am afraid, even the ones from Paris which I have also tasted. The sugar is needed for the formation of the film on the surface of the shell while they rest and without it, no feet will form. I think the best you can do is use a filling that is less sweet like sugar-free jams or ganache. Hello Bebs! 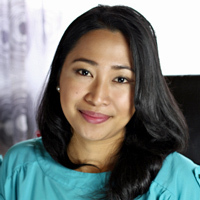 I saw your IG and welcome to PH! Are you staying here for good? Hope youll do a meet n greet haha ???? Anyway, I dont know where to buy almond flour here in the Philippines. Can i use regular flour instead? Thank you . ???? Thanks Tessy! 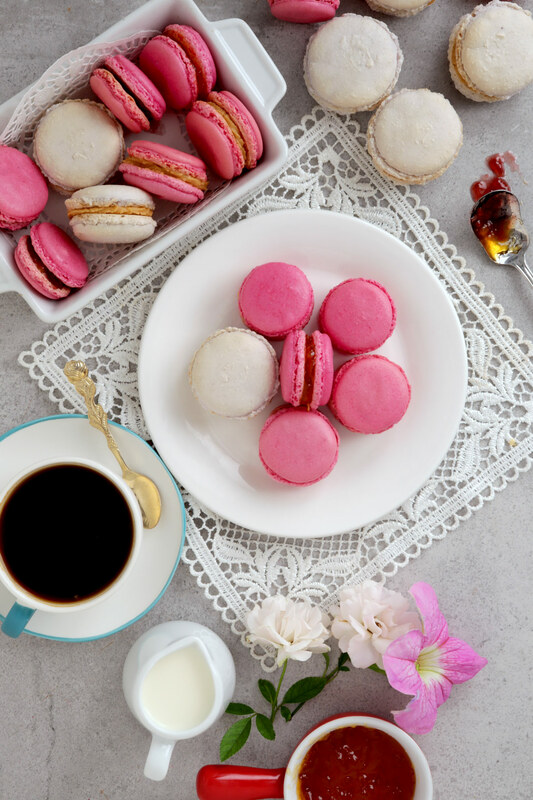 Unfortunately, you may not use regular flour for french macarons because of the texture and the taste. Almond flour is coarser and flour is too fine. Wheat flour also has gluten and nuts don’t, so it may not create the unique structure of the french macarons. I would suggest making your own almond flour by grinding blanched almonds (no skin) in a food processor until they are fine enough. Hi. I once tried making macarons, but i failed. Looking forward to try this again using your recipe. 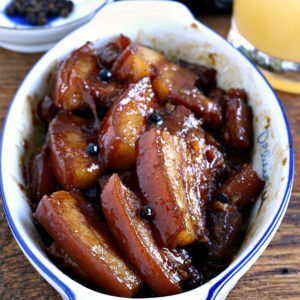 Can you please clarify the recipe? “8 g vanilla sugar and 2 Tbsp granulated sugar, OR 3 Tbsp granulated sugar” do you mean 3 Tblsp Sugar? I dont know what vanilla sugar is. Hi Jemaima, vanilla sugar is simply vanilla flavored sugar that I was able to buy in Germany. If you don’t have it then just use 3 Tablespoon regular granulated sugar. hello! i tried baking macarons once and the “feet” you mentioned gave way totally and left me with deformed macarons even though i rested the macarons for half an hr. would like to check when you say resting period of 30mins to 1 hr depending on humidity, means if it is humid i should rest longer?or shorter? Hi Doris, try resting them longer if it’s humid. You will know they are ready when a thin film has formed over the shell or if you touch it so gently they should not stick to your finger. Your oven can also become humid while baking so try placing a wooden spoon to let the oven door a bit open if that is the case. It is really sometimes a trial and error until you know which one works on your kitchen! Goodluck! I really hope you get those feet to rise! Do let me know! I also tried using red gel coloring (for the pink ones) but the problem is the more gel you add the more liquid or moist the merengue gets so it is difficult to dry them…I suggest you add more powdered sugar to the recipe to balance it if you like it really bright red. Can you double this recipe or will it not turn out the same? Thanks!! Hi Michele, yes, you can double the recipe without problem. Hi Naff, based on my experience, 1 egg white from a medium sized egg is about 30-35 grams. These look great! 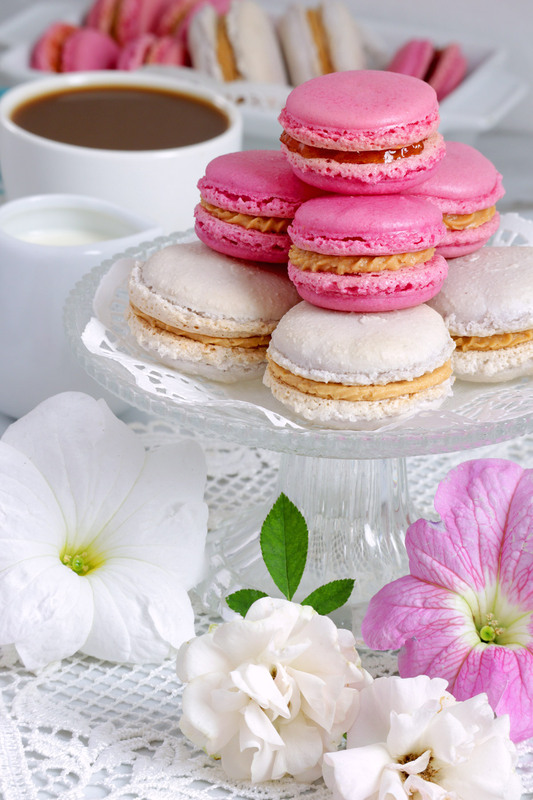 French Macarons are on my bucket list of things to make (butgluten-free).